There have been plenty of sci-fi roleplaying games using the D100 system. 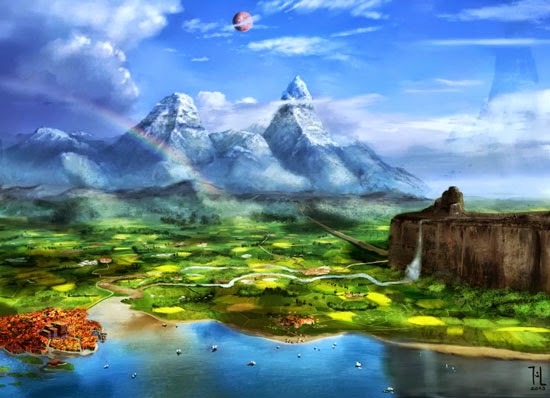 Some originated soon after the publication of the Basic Roleplating (BRP) rules, like Ringworld and Worlds Beyond. Others came much later, like Eclipse Phase or River of Heaven. You can see the full list of science-fiction D100 games and settings in this post. Although most of the games associated with the D100 are closer to the fantasy genre, the D100 system is perfectly suited for science-fiction. 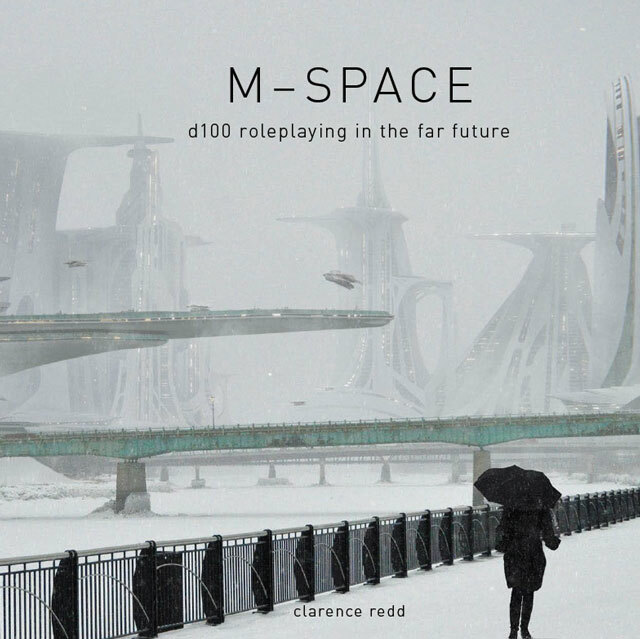 And M-Space, the roleplaying game I'm reviewing below, is a good example of that. M-Space actually started out as a possible supplement for the Basic Roleplaying System (BRP). Clarence Redd, Swedish author of M-Space, began by putting together some rules for sci-fi BRP titled BRP Starships. He shared the PDF on the BRP Central forum and gathered opinions from many posters there, which helped him refine his book. He wasn't the only one with such a project in his hands, as Jason Durall had already been putting together a supplement for pulp science ficcion titled BRP Interplanetary, that was never published, but some of it must have ended being included in M-Space, I guess, since he is credited in the book. 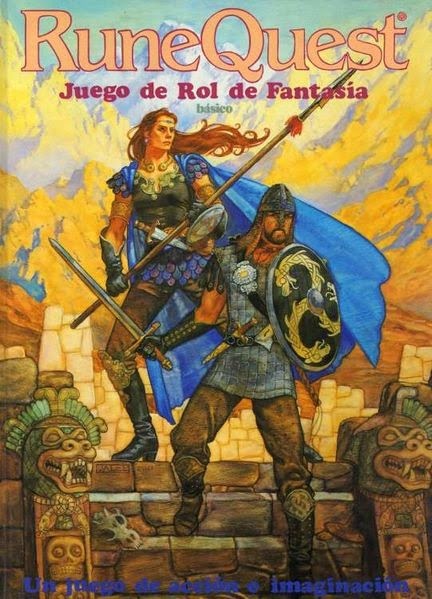 Soon after The Design Mechanism turned its RuneQuest 6th edition into Mythras, they published a free PDF with the summarized rules (Mythras Imperative). Aside from its role as a primer, third parties can also use it to base their games on it. This is what is called the Gateway License and Clarence Redd saw in it the prefect opportunity to publish his generic science-fiction game, M-Space, in 2016 as a fully independent game. Letting other people publish their own games and supplements under your own brand is a clever way of expanding the scope and reach of your game. This is what D&D did with its Open Game License and it's a win-win deal: the original publisher gets more visibility and the licensees can make their own game without having to spend a lot of time creating a system for it. Clarence Redd sent me a copy of the game so I could write this review (it's better to be honest about this). However, this has not biased my opinion about it, as below I have freely expressed both what I like and what I dislike about the game. M-Space is a 232-page book in an uncommon square format that helps make it stand out among other books on the shelf. The text is laid out in single columns with ample margins that are often filled with notes and additional information like examples, clarifications and small tables. When these margins are left blank, it looks like wasted space. However, when the text is accompanied by examples and useful notes, it is great to have them next to the main column instead of interrupting its flow. Some pages have the classic two-column layout though, for example when listing skills and their descriptions. My only real quibble is the text font is grayish, making it a little bit harder to read than usual. The introduction of M-Space includes a small but cool piece of art by David Sladek. The cover is by Jadrien Cousens, who has worked as a matte painter and concept artist for many well-known cinema productions, like Deadpool or Game of Thrones. The image has a realistic style and depicts futuristic skyscrapers on both sides of a frozen river, with a lonely figure walking on the foreground, protected from the snow by an umbrella. Although the buildings and the tiny spaceships flying around are very sci-fi, the whole picture has a very subdued tone since most of the cover is made of several shades of gray. On the one hand, it gives the book an elegant look that matches the font of the text, but on the other hand I find it cold and rather bland. Although the book is full-colour, most of the interior art is black and white, and there is little of it. You can turn 10 pages and not find a single piece of art, which makes the book a little dry in this regard. Even so, some of these are of high quality, like the jet-pack girl with sword in hand or the menacing alien in page 146, both by David Sladek, who has worked for Wizards of the Coast and Blizzard. Others are just small portraits that work as fillers but most do not convey any sci-fi feeling at all. Luckily, there are also about 20 full-page illustrations in glorious colour by Matthias Utomo, a digital painter. They are placed in pairs along the book with wide black margins all around. At least a couple of them look more like fantasy than sci-fi, and others are bit abstract, but overall they are very good and help set the tone for the book. It is only a pity that they are not interspersed along the text instead of combined in blocks of two every so often. Furthermore, the need to distribute the pieces of art along the book means the bestiary section refers the reader to other pages in the book in order to see the art for a particular alien species, which is a bore. In spite of all this, if you take into account that this book is a labour of love made by just one-person publishing company, I'm still amazed the author managed to put together so much good art for this book. All D100 systems are easy to grasp from the start, and if you have played any other D100 game, playing M-Space will be a piece of cake. You just need to roll under your percentual skill to succeed. The basic rules are copied straight away from Mythras Imperative, which is a free, multi-genre briefer version of the Mythras RPG. If you want to know more about these rules, I recommend you read this in-depth review. Below I will just focus on the tweaks and add-ons that M-Space incorporates to fulfill the basic needs of any self-deserving sci-fi campaign. All of these act as a toolkit, so you can use the ones you like and ditch the rest, and the flexibility of a D100 system like this means it won't break at all. Two big incorporations to the original rules are the mechanics for extended conflicts and simplified combat. As for the sci-fi add-ons, you get rules for starship and vehicle design, starship combat, alien creation, planet creation and psionic powers. And the bonus track is the circles mechanic. So let's have a close look at each of these. After the introduction, M-Space dives straight away into character creation. Determining stats like Strength, Charisma and Constitution, adjudicating sets of points to a list of skills depending on your culture and profession. Everything is just as in Mythras Imperative, even the fact that, unlike in Mythras, all characters have 2 Action Points irrespective of their Dexterity and Intelligence stats. The only deviations from the mother ruleset are the usual changes to accommodate the sci-fi genre: new cultures: rural, urban and orbit. New careers like belter, diplomat, or colonist. All very sensible and easy, like colonist is just the same as farmer with only a few tweaks. 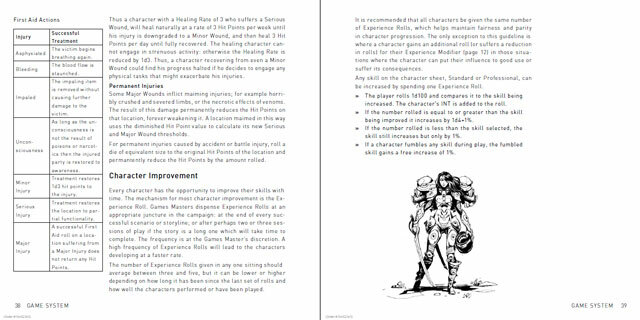 Then there are a couple optional skills, such as Vaccum Suit and Zero G.
This mechanic alone makes M-Space worth purchasing, even if you just use it in other sorts of campaigns with the Mythras rules. Similar to the basic social combat mechanic found deep in the Mythras rulebook, extended conflicts are an easy way of running non-combat scenes in a more exciting way than just the usual single skill roll. I talk about the importance of these sort of mechanics in this controversial post. It goes like this: a player character determines her pool of points for the conflict based on a relevant stat or combination thereof. For example, as many points as her Charisma for a dramatically relevant negotiation or the average of her Charisma and Intelligence for getting through a formal reception in an unfamiliar culture. The opposition has its own conflict pool. Every turn, the character and her adversary try to roll under the same relevant skill, such as Influence in a negotiation, and oppose their rolls. That means the better degree of success wins (critical over normal success, for example) and if it is the same level (two normal successes, for instance), the highest successful result is the winner (55 out of a 60% skill wins over 34 out of 70%, for example). After each opposed roll, the winning side rolls 1 six-sided die and substracts the result from their adversary's conflict pool. Once one side is out of points, they lose the conflict. There are a few other extra details, but these are the basics. If this sounds familiar, it is because it is very similar to the hit point attrition system of many classic roleplaying games such as D&D or RuneQuest. And if you have played HeroQuest or Revolution d100, it will be sound even more familiar, because Revolution d100 was the first D100 system to incorporate this mechanic (in a more detailed way), after its author was clearly inspired by the HeroQuest rules. In fact, I know for certain that Clarence Redd asked Paolo Guccione for permission before he included extended conflicts in M-Space, and his contribution is acknowledged at the back of the book anyway. Aside from being easy to run, this mechanic is also very flexible. In my samurai campaign with Mythras, I used it to run negotiations, chases and even a difficult hike up a mountain during a blizzard. As this latter example demonstrates, you can use this mechanic even when the player characters face impersonal obstacles, such a furious sandstorm, a long journey through the desert or when trying to decipher an ancient tome. The book includes 7 examples of extended conflicts, like a chase, a poker game and even making a good impression at a dinner party! Of course, just rolling dice is not fun, so every turn of abstraction you should narrate exactly what happens after each exchange. Just as in any combat, really! If used well, this mechanic can make non-combat scenes be as exciting as combat. And this is perfect for campaigns were combat is an uncommon occurrence. This is another useful tool for running campaigns in which combat is not central to the story. Just as the combat rules in Call of Cthulhu are much less crunchy than the ones in RuneQuest, combat in M-Space does not need to be as detailed as in Mythras. You could, for example, run a sci-fi investigative campaign, in which combat only happens very occasionally, or mostly between starships (see further down for that). In this case, using the simplified combat rules will help you solve combats quicker and let the story move forward at a faster pace. Unsurprisingly, the rules for simplified combat run mostly like extended conflicts, but using a pool of points equal to the average of Constitution and Size as general hit points. There is no location damage here, and the list of combat effects is limited to only 11, so it is still quite strategic and not just a battle of attrition. There are rules for running even quicker combats, which ignore combat effects, making combat even more abstract to allow for much simpler and quicker play. In either of these rules, the different wound levels are necessarily redefined. And, of course, if you ever want to run a crucial detailed combat, or if you prefer the detailed combat rules in Mythras, these are included in M-Space anyway, together with blasters, lasers and all manner of sci-fi firearms. Whatever level of detail you favor, the simplified rules are another useful incorporation to the Mythras toolkit, and not just for sci-fi, obviously, but for any kind of campaign. Although the book includes 12 pre-designed fully statted starships ready to use (from starfighters to destroyers), as well as 6 different vehicles (from speeder bikes to quads), you can also design and customize your own. This involves buying modules for each of the functions you want your starship or vehicle to have. While the system of adding modules together is the same for starships and vehicles, both the modules for each as well as their scale are obviously different. There are cockpit modules (1 for each person), cargo modules (1 for each ton of cargo), crew cubicles, sickbays, engines, labs, hyperspace, escape pods, weapons... you name it. The more modules your spaceship has, the more engines and maneuvering thrusters you will need to keep it reasonably fast and maneuverable. Apart from modules, you can also buy more hitpoints, armor and shields for your starships, or other upgrades like advanced sensors and navigation. 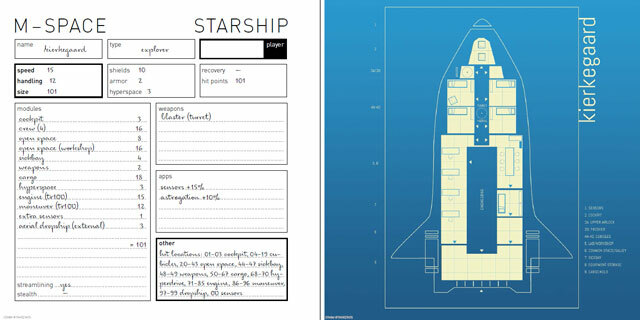 The section is rounded up with a handy starship sheet to note down all these data and a couple example spaceships with blueprints showing their layout (one of them could very well represent the Serenity spaceship of the Firefly series). It looks pretty easy and covers all the staples of science-fiction. If however you still have trouble wrapping your head around the system, at the back of the book there is a helpful step-by-step example of how to design a starship. 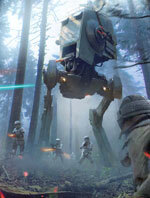 All-terrain two-legged combat walker. Cost: 20000 Cr. Weapons: Laser Cannon (4d8+4), Heavy Laser Turret (2d10+4). Modules (14): Cockpit 2, Excellent Engine, Standard Maneuvering. Every spaceship and vehicle has a list of modules as well as stats like speed, handling, size, hitpoints, shields and armor. Besides, each of them has hit locations, which are the different modules it is composed of. All these plus the weapons have an influence in combat, which is quite abstract but detailed enough to offer a range of interesting tactical options. If you want more detail, there is a section that explains how to do that. And if you prefer less detail, there are also rules for simplified combat. This flexibility allows you to customize starship combat to your favorite level of detail, which I think is very cool. In the standard starship and vehicle combat rules, handling determines initiative. Then the pilot of every starship chooses an Action, like offensive or defensive positioning, fire, aim, etc. and makes a Pilot roll. As in the regular combat rules in Mythras, if one side gets a better level of success than her opponent, she may choose one special effect on top of the damage caused if the chosen action was "fire". There are 5 piloting effects to choose from, like «Change Range» or «Evasive Flow». Then you make an opposed Gunnery roll and the winner also gets a gunnery effect, which she can choose from a list of 7, like «Maximise Damage», «Find Weakness» or «Choose Location». Damage from weapons is absorbed by shields and armor, and the rest reduces the affected location's hitpoints. Bad things happen when a location reaches 0 hitpoints: passengers suffer damage, technical locations like engines are disabled and crew or passenger locations impose complications, such as decompression or loss of gravity. These rules are easy and good, but perhaps too merciful for the loser. The worst thing that can happen to you is having your engines broken, being boarded or dying from injuries suffered due to the damage to the ship. But where are the explosions? I miss a lot some way to completely destroy a ship in a spectacular way. The vehicle combat rules in After the Vampire Wars, for instance, are much more lethal. A medium-sized explorer starship including a lab and a blaster turret. On the blueprint, every module occuppies one square. Despite that, I love the fact that the rules encourage getting all players involved during space combat, not just the pilot and the gunner. For example, mechanics can make it easier to keep your engines running despite the damage suffered, and medics can patch the crew up so they stay active. If you don't have enough crew to fill each of these roles, perhaps the gunner will need to stop firing for some rounds in order to fix the engines in the middle of combat! On the other hand, I guess this system works best when the player characters are the crew of a small to medium starship fighting against one or two enemy starships of roughly the same size. Because, as with the standard melée rules in Mythras, the more participants in combat, the harder it will be to keep track of everything. Imagine, for example, a combat between a big capital ship (more than 250 modules, lots of engines, weapons and gunners) against 20 small fighters, as often happens in Star Wars. It must be very difficult to keep track of all special effects, all the mechanics that are doing repairs on the bigger ship during combat, and all the gunners that are firing. In these cases, it may be best to just narrate individual actions of each player character or resort to the simplified combat rules. Luckily, the book includes two detailed examples of starship combat that go a long way to illustrate the rules. After starships, another staple of science-fiction are extraterrestrial life forms. 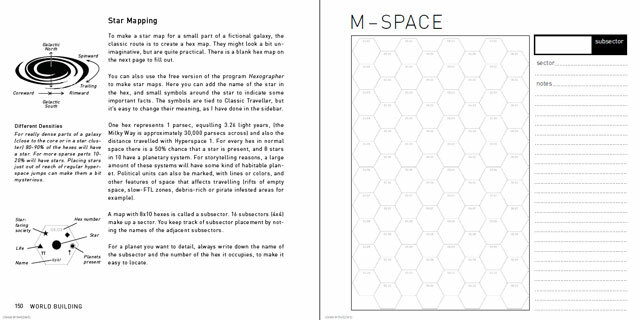 The rules in M-Space guide you through the process of coming up with these by means of several charts with options you can pick or roll randomly. First you need to determine several broad parameters for every universal life form in a planet, like strangeness, biosphere, biodiversity and body plan. For example, on Earth most land animals are symmetric and have four limbs. On other planets, however, the main universal life form could be elephant-sized exoskeleton-framed, segmented beings with 6 limbs radially distributed. Then, the author recommends creating a handful of life forms for every universal form, which provides coherence and a degree of realism. In Pandora, the alien world in James Cameron's Avatar, direhorses, viperwolves, hammerhead titanotheres and thanators are different beings, but they all share the same universal form, as shown by all of them being symmetrical and having six legs. The irews look like spinal columns and don't have mouths, as they feed by sticking their tail into earth during the day to draw nutrients from it. They have four sticky tentacles they use for fine manipulation, but they need to slither in order to move. They communicate through complex scent messages and movement, though they lack the sense of hearing. Although they are rather slow, they are very good at building, in fact their manufacturing technology is more advanced than the standard, and their populous labyrinthine cities cover most of the land. Their agents in other planets try to weaken governments in nearby planets in order to prevent attacks and get resources. Their current most important conflict revolves around religion, as they have honoured their gods for centuries, but now a big portion of their population is protesting against their priests, which has already caused some acts of violence. Freedom of speech is actually what they value most of all, and strikes and demonstrations are a very common event in their homeworld, which usually produce huge clouds of vapours bearing the same olfactive message. Even so, they have a high empathy for almost all living beings. I like how detailed the whole process is. It helps spark the imagination, makes you consider aspects you might have never thought of, and usually produces alien cultures with opportunities for adventure and interesting interactions. Still, if you just want to create some quick monsters to use as adversaries, there are also some quick and easy rules for that, and there are also some examples at the back of the book. Finally, the chapter also includes a couple sheets to note down all the data about your alien life forms. Perhaps it would make more sense to generate planets first and then life forms, but in M-Space the rules for creating worlds come after. Although they also include charts for random generation, they only fill about 5 pages and are thus much shorter than the ones for creating life forms. There is also a blank hex-map you can print and start filling with star systems, together with world sheets to note down all their data. Although I know making galaxies out of two dimensional hex-maps is a classic way of doing this, if I were to run a science-fiction campaign, I would like to creat my own 3D galaxy map with some software. In a system of two normal yellow stars and 16 planets, ZX-672 is the only habitable planet. Orbited by 3 moons, it's a very small planet with 0.7 gravity. It has a standard starport. Only plant life and an Earth-like atmospheric pressure. 77% of its surface is water, mostly frozen due to sub-zero temperatures. Its high levels of carbon dioxide make it necessary to use vaccuum suits when going for a walk outside. It is known for its large deposits of ZX crystals, which are being mined to develop never before seen invisibility fields. This is like magic for science-fiction settings. So, while the Mythras RPG includes 5 magic systems, psionics could be considered the sixth one, as it can be imported to any other setting with ease. It involves rolling under the skill of a specific power and spending power points. There are 31 psychic powers listed, categorized into three possible categories or schools. For example, the "Sense" arc includes powers such as Avoid Harm, Intuition and Detect, the "Mind" arc includes Mental Defense or Affect Mind ("these are not the droids you're looking for"). Finally, the "Matter" arc includes action-oriented powers like Healing, Push, or Leap. Some well-known Jedi powers are easy to spot in this list. I like the rules include certain requirements characters need to fulfill in order to access the most powerful tricks, such as seeing the future, controlling minds and resurrecting recently deceased life forms. That, and the fact that every single power is a different skill, means that these rules make mental powers easy to use, but they can be used less often and are more difficult to master than other kinds of magic, so psionic characters won't be casting lots of "spells" all the time, and that makes perfect sense within the tropes of science-fiction. I wish some of the art by Matthias Utomo could have been shown without those black margins. To finish off, M-Space includes the Circles mechanic. This is a clever way to organize all the data of the major forces in your campaign, but also for the characters to interact with them and even solve confrontations between opposing factions. Thanks to their high level of abstraction, the rules can cover from very small organisations to huge multi-sector corporations. 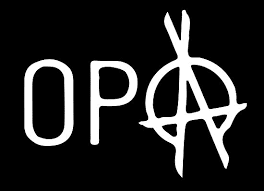 Circles can be organizations (the Empire), an ideology, corporations or even locations (a city, for example). They are defined by 3 stats, attributes and traits. The stats measure how influent the circle is in its immediate environment, how resourceful it is and how many followers it has. Attributes look more like "skills", because they are important aspects and capabilities of the circle with a percentage attached to each. It would have been better to just make stats also a skill percentage, since you end up rolling under a particular stat x5 in order to use them, but anyway. The list of suggested attributes includes Black Ops, Media, Territory, Politics and Sanctions. Circles can offer certain benefits to player characters, and they can also help improve the stats of a circle with their actions. This reminded me strongly of the Communities rules in the HeroQuest RPG. I would have liked to find here some more detail, like for example, how to pit two of these organisations against each other. I think the game Stars Without Number has a lot of detail in this regard, but then you can always use the extended conflict rules to easily houserule something like that. The rules in the RuneQuest: Empires book by Mongoose Publishing might be another source of ideas. Anyway, I think the circles mechanic is a great idea so characters have something to fight for beside themselves. Attributes: Black Ops 55%, Cellular 85%, Cultural Heritage (Belters) 60%, Info Retrieval 30%, Memes 40%, Mob 65%, Politics 20%, Spread 50%, Territory 30%, Troops 20%. Description: loose government for the inhabitants of the asteroids and moons of the outer planets. These generic sci-fi rules are made to spark your imagination and inspire you to create your own setting. Indeed, while reading the book I was surprised to find myself daydreaming of possible interstellar empires, sandboxes and odd alien races. Still, I'm sure many people with little time to prep will sacrifice originality in exchange for ready-made scenarios and settings. There are two official modules published for M-Space. One is Reflux, by FrostByte Books. In this adventure, the player characters are in a race against time to find a lost shipwreck. It also briefly describes a sci-fi setting to play in, called The Weaving, with organisations, worlds and some alien species. The other is A Gift from Shamash, published by The Design Mechanism, which also briefly describes another sci-fi setting, but with even less detail. And if you want a whole setting, you can check out Odd Soot, by the same author as M-Space. The other route is adapting pre-existing scenarios and settings to use with M-Space. The sandbox Pirates of Drinax for Traveller looks very interesting. But so do other publications for different well-known universes such as Star Wars, Star Trek, Warhammer 40k, The Expanse, Firefly, to name just a few. Still, settins already published for other D100 systems will require the least work to adapt (see here for some ideas). These are just some setting suggestions, but... Wouldn't your own setting be more awesome? You want a toolbox to create your own galaxy to run a sci-fi campaign in it. You prefer rules for less combat oriented games. The combat rules in Mythras look too complicated for you and you want simpler ones. You want to use the extended conflict rules for your own campaign (sci-fi or not). You would like to try M-Space to run a sci-fi campaign originally written for another game. You prefer a whole ready made sci-fi setting (what about Odd Soot?). You only enjoy RPG books brimming with lots of high quality art. Art by Matthias Utomo for M-Space. By the way, M-Space also includes rules for lab research and trading cargo. M-Space is available from the FrostByte Books website and DrivethruRPG. The PDF is 13$ and the print version 27$ (it includes the PDF). There is also two print-on-demand options through Publit and Lulu for 25$. Besides you can download pre-made characters, previews of the game and other documents for M-Space from the publisher's website. I wish I could play in a sci-fi campaign with these D100 rules. But what do you think? Have you already tried M-Space? Would you like to? Please tell me in a comment below!